In their series of films and installations “Occupy, Resist, Produce”, Dario Azzellini and Oliver Ressler focus on the occupation and recuperation of factories in Europe as a deliberate step towards workers’ control. 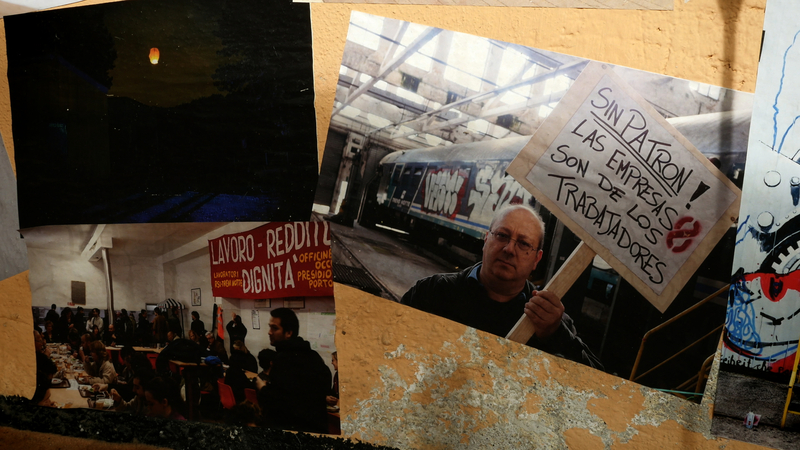 In the three exemplary factories in Milan, Rome and Thessaloniki the workers took the initiative and became protagonists, building horizontal social relations on the production sites and adopting mechanisms of collective decision-making. 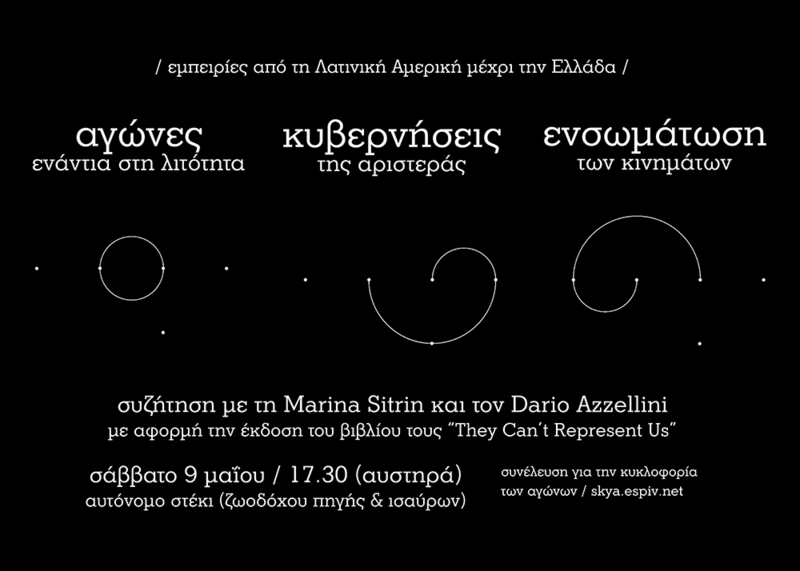 The Athens Biennale 2015–2017 “ΟΜΟΝΟΙΑ”, in the framework of the Athens International Film Festival (Opening Nights), presents the film project of Dario Azzellini & Oliver Ressler Occupy, Resist, Produce on October 2, 8:15pm. In view of the critical historical juncture, the Athens Biennale 2015–2017 “OMONOIA” unfolds in three strands of debate and research intervention: the emergence of alternative economies, the performative in the political and the establishment of institutions that redefine existing structures. Desde el 15-M de 2011, son muchos los acontecimientos que han puesto de relieve la existencia en España de una corriente de reivindicación política y social imaginativa y contestataria, que responde a demandas de sectores de la ciudadanía desengañados con las formas convencionales de representación y con la gestión política de las instituciones. Esta corriente no es exclusivamente española, sino que enlaza con un reverdecimiento en todo el mundo de vías para expresar la disconformidad en formatos que tienen mucho de utópicos. During the first decade of the current century, workplace recuperations and production under workers’ control seemed to be limited mainly to South America. It was beyond the imagination of most workers and scholars in industrialized countries that workers would or could occupy their workplaces and run them on their own. Nevertheless, the crisis that started in 2008 put workers’ control back on the agenda in the northern hemisphere where several companies from Greece to Italy and the US have been taken over by workers. International media arts festival, OK. Video, is back. This is the seventh festival organized biannually since it was first held in 2003. ORDE BARU OK. Video - Indonesia Media Arts Festival 2015 is held on 15 - 28 June 2015 and supported by the Galeri Nasional Indonesia which also becomes the festival's main venue. For over 100 years May Day has been celebrated by workers, socialists, anarchists, autonomists, and a myriad of other radicals. With, Against and Beyond Left Governments? The election of SYRIZA in Greece and rising popularity of Podemos and similar local parties in Spain has again opened the question for autonomous movements as to how change can be made in society. This panel will argue that change is made from below, but at the same time bring into question if change from above can make more space for those from below. The focus will be on concrete experiences of popular base movements, where the panelists have had direct experience, including in Spain, Greece, Argentina, Uruguay and Venezuela. Is Post-Chavez Venezuela Still Leftist? In the aftermath of the death of Hugo Chávez, the key question for the left is whether his successors have been true to his legacy, or whether the “revolutionary process” has now stalled or, even worse, been thrown into reverse. The pressing problems that now beset Venezuela have convinced some Chavistas that President Nicolás Maduro is lacking in Chávez’s political acumen. These problems include chronic shortages of consumer goods and an annual inflation rate of over 60 percent. Presentation of "An Alternative Labour History: Worker Control and Workplace Democracy" (Zed Books) edited by Dario Azzellini. 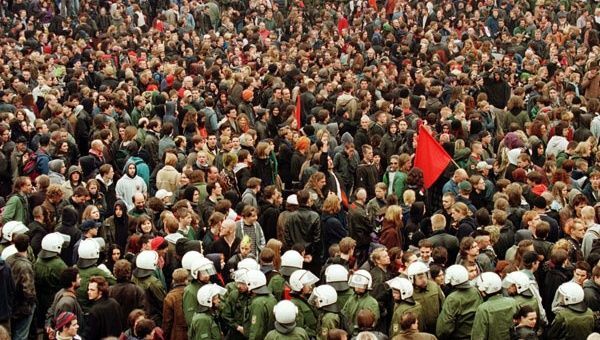 The global financial crisis has led to radical forms of protest and new workers’ takeovers have sprung up all over the globe. In the US, Republic Windows and Doors started production under worker control in January 2013. 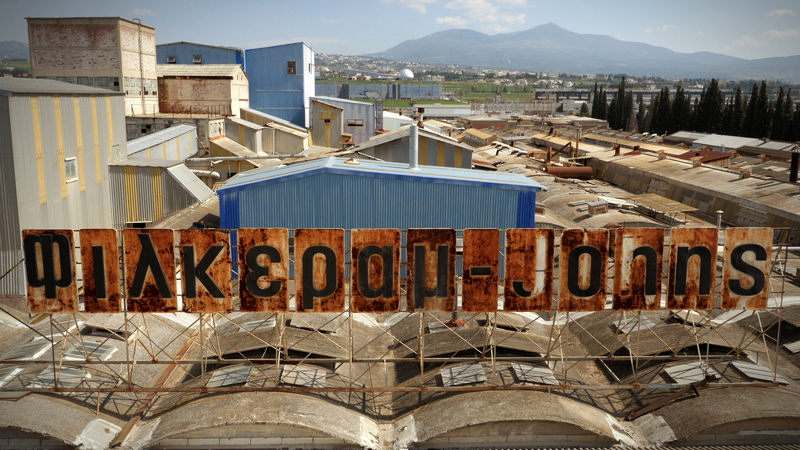 Later that year workers in Greece took over and managed a hotel, a hospital, a newspaper, a TV channel and a factory. The dominant revolutionary left has viewed workers' control as part of a system necessary during a transition to socialism.